It seems like ages since I’ve wrote to you all. I feel at time I neglect you, but things always get in the way when I have good intentions of letting you know what I am up to. I intend to make a hard effort of letting you know what I am update. I have three people this year celebrating major milestone birthdays. So what is one to do? You make a quilt for each of them. The first friend is having a jelly roll quilt made from the range called Fresh Air by American Jane using a pattern called Key to my heart. This one includes some of her favourite colours and is basically for use as a lap blanket. My daughter has also used this pattern in a quilt she made and it looks wonderful. The other blanket is by Emma Jean Jansen using her lovely range of the Line Cupboard. 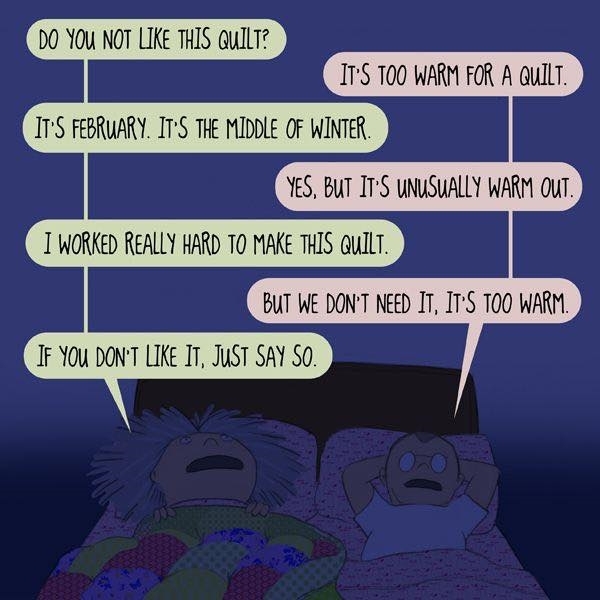 The quilt is called The Daisy Quilt. Emma is an Australian Designer and this range and quilt is just beautiful. It uses linen and I was a bit worry about using linen as I had no idea how it would quilt but so far it is lovely. I have currently completed the drunkard paths, which I have never done before, and they have turned out wonderfully. 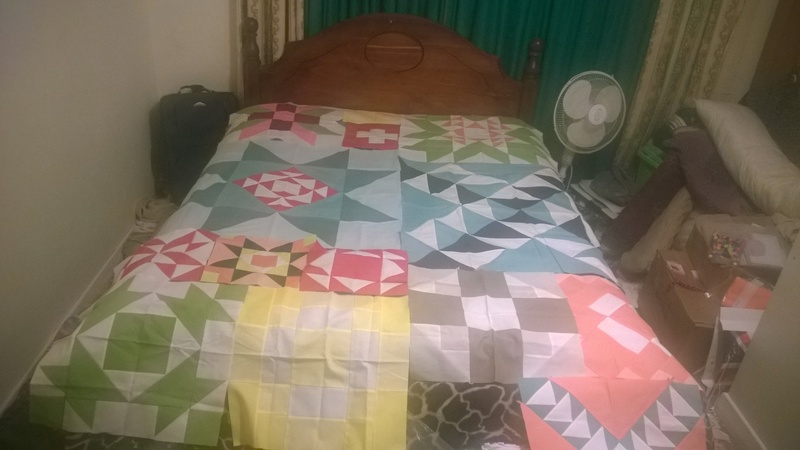 The finished quilt will be 175 cm X 175 cm so it should be lovely on a bed. I have already thought about how I will quilt it and am thinking about doing daisy chains over the sashes and just outline the drunkard pathways. 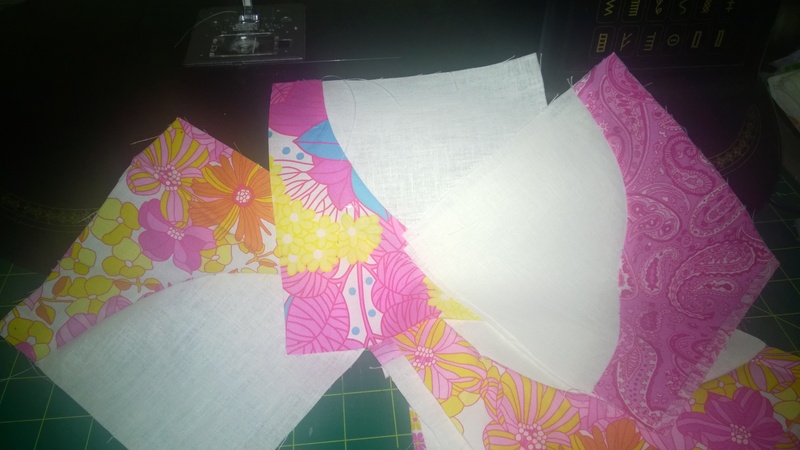 As I don’t have a longarm quilting machine, I will use a quilt as you go to complete this quilt. I think it should look so lovely when completed. Finally, the last quilt is for my friend. It is of course the Moda Modern Building Block. 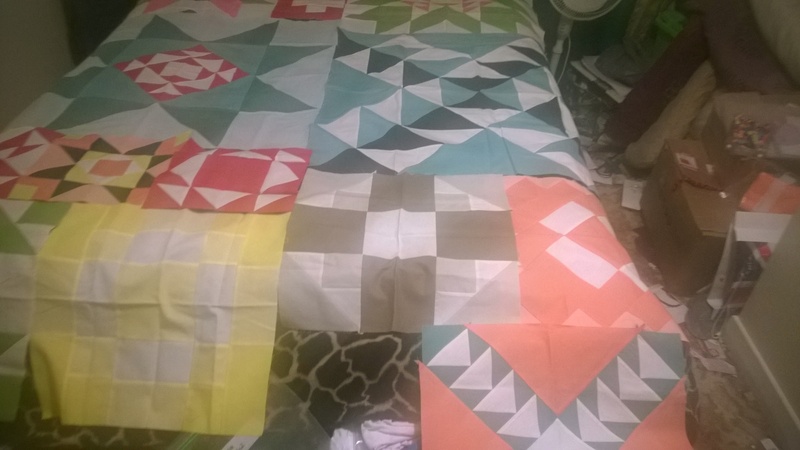 I have currently done the large quilts and am now down to the 12 inch blocks followed by the 6 inch blocks. As the blocks get smaller, they seem to be easier to do. I have seen a number of this quilt completed and love the fact that it can be used with any fabric as opposed to sticking to the Bella Solid colours, but I love the Bella Solid colours and have 2 of these kits to do. I have been offered to have a lady quilt it for me for nothing, who also knows my friend that is going to receive this quilt. I will do that and I will do mine myself. I like to try to do my own quilting. 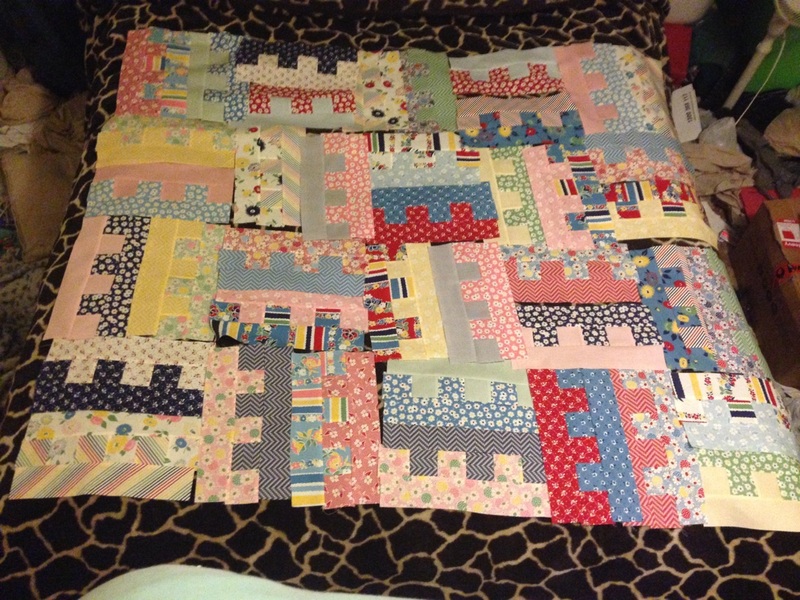 I have only done 14 blocks and it covers my bed…OMG it is going to be a big one. What else have I been doing? I have continued to try and finish quilts that need to be completed and am currently quilting done by big quilt. I don’t know why I chose to do it the way I did but must continue to do so. I have been attending quilting classes where I met some lovely ladies. One of these ladies does quilts for Australian Soldiers overseas, I wonder if the same is done for other soldiers in other countries. I think it is a very lovely way to send a hug as the quilt are made with love and must be greatly appreciated by those that receive them. I have also been doing some family tree tracing. It has been interesting to uncover where I came from. Sometimes you need to look back to move forward. What have I discovered, well I had discovered that I have 4 family members who were in World War 1. It has been interesting to find out their journey and I have discovered things that I did know about my family. I hope to find more. 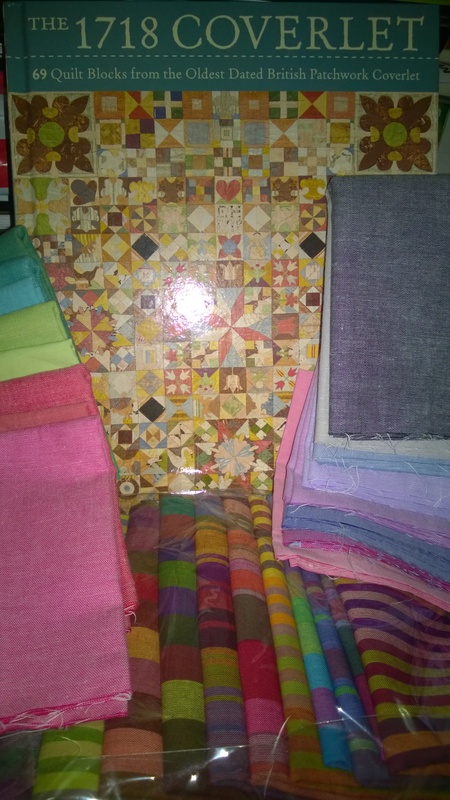 I have also been preparing to make a quilt or what is called a coverlet. The one that I have discovered is called the 1718 Coverlet and it seems to have spread across the world. 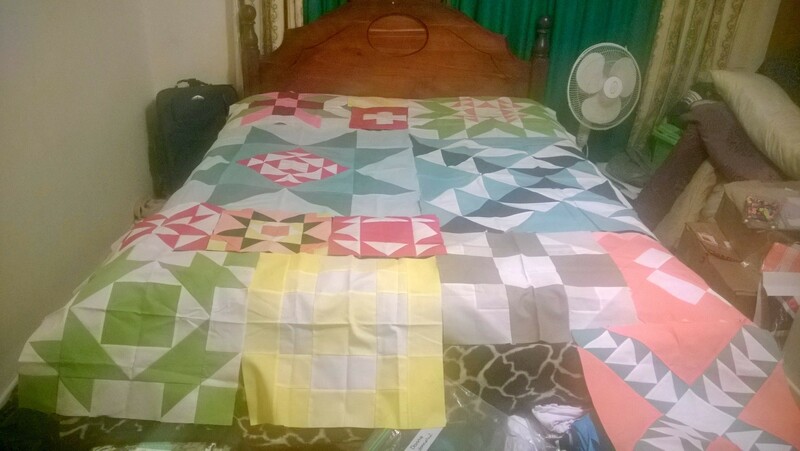 I have gotten a copy of this lovely quilt and have some of the fabric I will use including strips. I’m still undecided to follow the traditional method of English Paper Piecing or what the book refers to as Mosaic piecing (I don’t like this term really and prefer English Paper Piecing) or the modern method of appliqué and machining of pieces together. I have also noticed that this pattern refers to the block size as the finished size which is very confusing. After I read this, I got on to the internet and checked a few groups that are doing this quilt. I find these groups helpful as you are able to discuss with other quilters who come from a variety of levels of experience. I learnt that the finished size means that when finally sewn to the quilt and does not include the seam allowance. I’m so glad that I don’t cut down my blocks (unless instructed to) as it could be an expensive mistake.